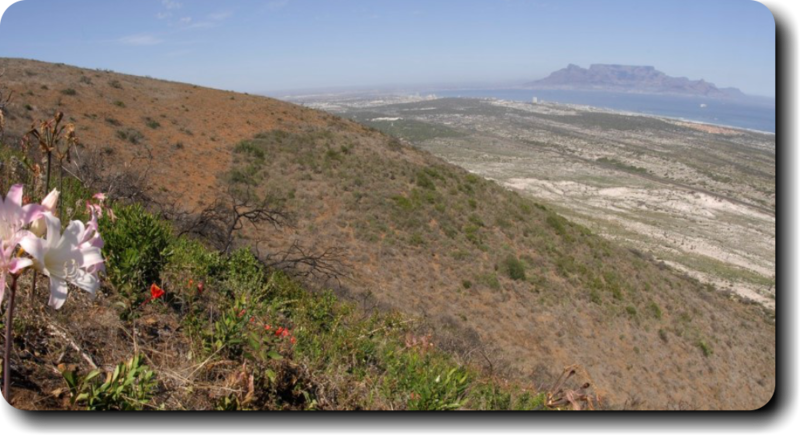 The Blaauwberg Nature Reserve (BBNR), a unique area of approximately 2 000 ha comprising a rich mosaic of natural, cultural and historical elements, is located 25 km north of the centre of Cape Town, South Africa. It is regarded as a global biodiversity hotspot. It harbours a unique treasure of cultural historical artefacts and has the potential to become an open-air classroom which is easily accessible to millions of people in its proximity. It also provides a strategic visual link between Table Mountain and Robben Island and provides opportunities for a multitude of recreational activities.